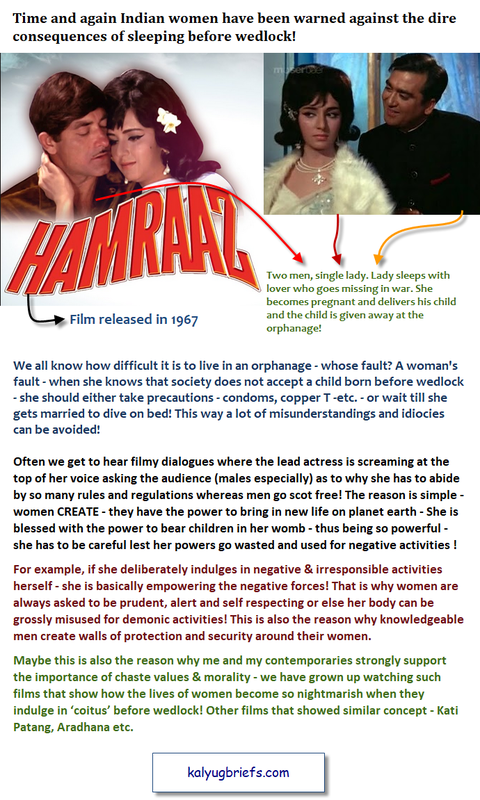 Humraaz, 1967 film – The consequences of coitus before wedlock! 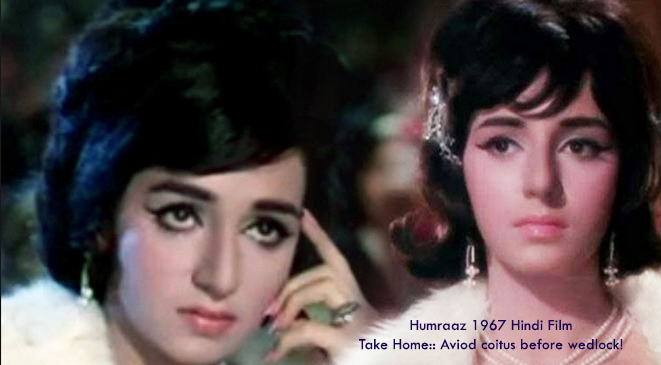 Time and again Indian women have been warned against the dire consequences of sleeping before wedlock! Often we get to hear filmy dialogues where the lead actress is screaming at the top of her voice asking the audience (males especially) as to why she has to abide by so many rules and regulations whereas men go scot free! The reason is simple – women CREATE – they have the power to bring in new life on planet earth – She is blessed with the power to bear children in her womb – thus being so powerful – she has to be careful lest her powers go wasted and used for negative activities ! For example, if she deliberately indulges in negative & irresponsible activities herself – she is basically empowering the negative forces! That is why women are always asked to be prudent, alert and self respecting or else her body can be grossly misused for demonic activities! This is also the reason why knowledgeable men create walls of protection and security around their women. 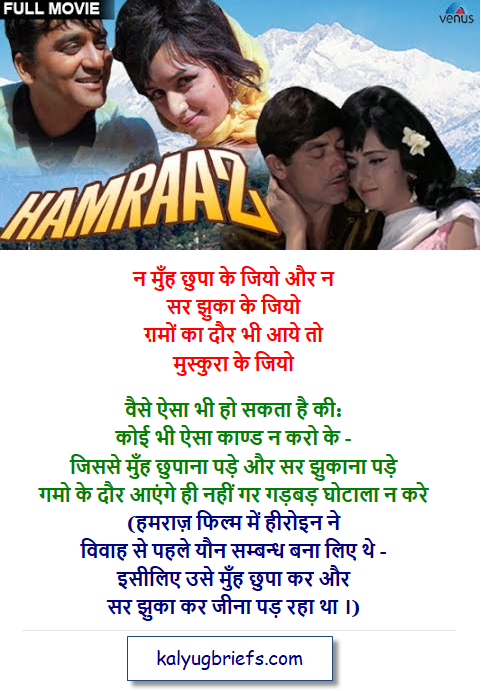 Maybe this is also the reason why me and my contemporaries strongly support the importance of chaste values & morality – we have grown up watching such films that show how the lives of women become so nightmarish when they indulge in ‘coitus’ before wedlock! Other films that showed similar concept – Kati Patang, Aradhana etc.